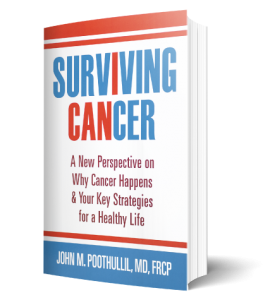 This week’s blog is an excerpt about the importance of eliminating grains from my book Surviving Cancer and a short video discussing the importance of cutting down your grain intake. The suggestions made below hold true for those concerned with diabetes as well. If you have cancer (or diabetes or are concerned about developing either one), it is critical to switch to a low-carbohydrate diet, largely by eliminating grains to as close to zero intake as possible. Depending on your age, especially as you approach adulthood, your body needs very little glucose, for two reasons. First, your cells multiply more slowly because new cells are mostly formed to replace dead cells within organs, rather than to build new structures. As a result, there is reduced glucose need for cell division. Then, as you age, there is usually a reduction in muscle mass, so there are fewer cells where glucose can be stored as muscle glycogen. Reduced muscle mass also means reduced energy needs. So, how much carbohydrate should you eat? 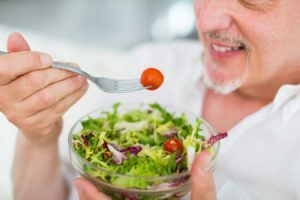 As a general rule, a healthy person can think of the answer to this question in this way: the quantity of carbohydrate consumed during a meal should be no more than what you need to replenish the glycogen stores in your liver and muscles, unless you are exercising immediately after a meal. Any excess carbohydrate that remains in the body is what your liver converts into triglycerides that get stored in your fat cells. When your fat cells are full, the excess glucose remains in your bloodstream. This means that if you tend to be sedentary, you don’t need many complex carbohydrates. In this video, I explain why it is important to dramatically reduce your consumption of grain products. Eating grains leads to a crash in blood sugar that makes you hungry again in a few hours. This creates a cycle of hunger and eating. Grain products are harmful for people with diabetes and provide fuel for cancer cells to grow. No one can give you a speciﬁc recommendation on quantity, but if you get in touch with your authentic weight (the weight at which your brain tells you that you are the most comfortable), you will sense how much you need to reduce your carbohydrate intake to lose weight and maintain it. But if you have been diagnosed with cancer (or diabetes), your situation is completely diﬀerent, as you need to cut your grain consumption to zero. To repeat, grains produce voluminous amounts of glucose that will feed your cancer cells (and exacerbate your diabetes). Begin eliminating grains from your meals, including wheat, oats, rice, barley, rye, corn, and others. It doesn’t matter if it is whole grain, multi-grain, or gluten-free—none of these help you because grain is grain is grain. Follow the suggestions in my books and read last week’s blog post to get you started.